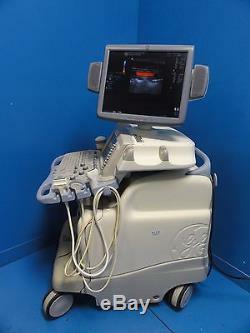 GE Logiq 9 LCD Ultrasound System W/ M12L Matriz Linear array , 7L Linear arrat , 4C Convex , 4D3C-L Convex Volume Probes & Sony Printer. Power requirement 120V, 60Hz, 12A. Signs of average use , Enjoys Good cosmetics please see images to have a better sense , has scratches here and there. Has crack around Track ball. Includes 04 Probes covering almost all fields of medicine. 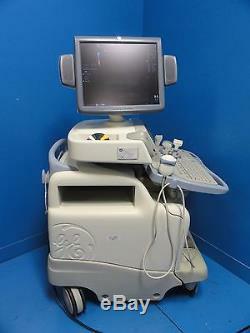 GE 4D3C-L P/N195893 3D Convex array ultrasound transducer SN : 7608KR1. NOT tested as it is missing a connecting cable from connector to console. 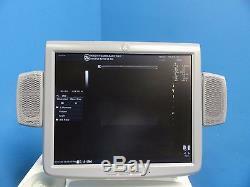 GE M12L P/N 2294512 Linear Array Transducer SN: 910017YM3 DOM : 2002 re manufactured 2009. 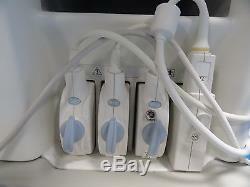 GE 7L P/N 2302648 Linear Array Transducer SN : 81401WP2 DOM : 7/2008. Printer is included (Sony UP897 B/W printer). 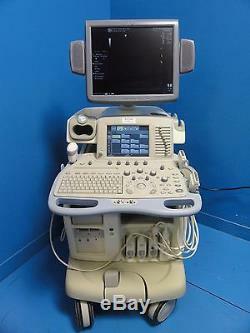 No foot control or manual or non-imaging probes. 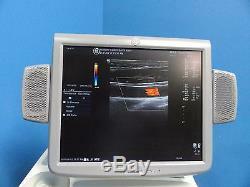 Logiq 9 Compatible probes information. GE 4D16L, 4D10L, 4D3C, 4DBC, 4DE7C. GE M7C, 4C, 3.5C, 8C, E8C. 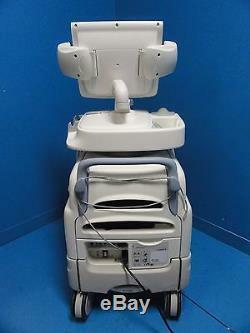 GE M12L, 9L, 7L, 10L. Kindly enlarge the images and see them with zooming. Concern or query: Ask a Question. Overall Condition:- As seen in images Very Good. 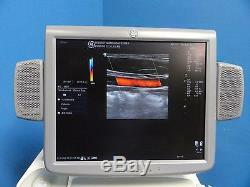 Working Condition: Powers on and following all commands, unable to test in details, see monitor images for the functinality of all probes --Right carotid has been imaged with linear probe / Right kidney has been captured on Convex probe , Volume probe is not tested - Item is being offered AS IS. Biomed check is strongly recommended before clinical use! With everything seen in the pictures. Comes with everything you see in pictures nothing more nothing less. Maintenance & Certification: - Strongly recommended. Useful tips: do not scratch or apply sticking plasters. If item is listed for parts only, it is specifically mention in the listing as well. World wide - only after funds receipt is confirmed. Accepted if the items can be combined. If you return it, just because you made a mistake or you no longer want it. For auctions with AS-IS / Parts Logo in the description. Auctions appearing with this logo are listed "AS-IS" for parts and repair purposes only regardless of the condition and working status of the item. Always the current terms will be considered, in resolving issues and arbitration. 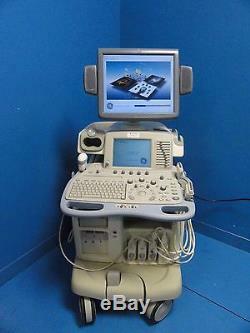 THIS EQUIPMENT IS OFFERED WITH OUR AS-REPRESENTED GUARANTEE. This guarantee applies to U. Medical science is an ever changing field and Information provided, may be, out-dated, partial or incomplete and may be inaccurate or useless or contain mistakes. It would be highly recommended and wise to have a bio-med completely check the product for its performance and safety parameters before actual use for patient care and/or diagnosis. The item is used and the original box that the item came with has been opened. The item is in its original condition and no alterations have been made to the item. The item has been properly cleaned and handled, following the manufacturers recommendations. The item comes with the accessories specifically mentioned in the description or shown in the pictures. This item is not a food or medical product that has expired. This item does not appear to be damaged or mishandled. This item is not a prescription drug or a prescription device. Because it was assumed that medical, professionals are proficient at the use of this product. 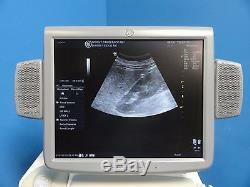 The following must also be included in the description of the product as per e-bay listing requirements. The sale of this item may be subject to regulation by the U. Food and Drug Administration and state and local regulatory agencies. If you have questions about legal obligations regarding sales of medical devices, you should consult with the FDA's Center for Devices and Radiological Health: Link. 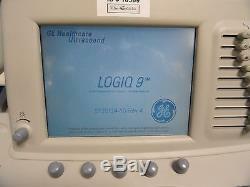 The item "GE Logiq 9 LCD Ultrasound System With M12L, 7L, 4C, 4D3C-L Probes & Printer 10369" is in sale since Thursday, December 8, 2016. This item is in the category "Business & Industrial\Healthcare, Lab & Life Science\Medical Specialties\Other Medical Specialties". 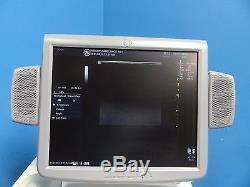 The seller is "the-medicka" and is located in Rosemount, Minnesota. This item can be shipped to United States.